Bring in unopened, unexpired, & undamaged items to reduce the fines on your library account! 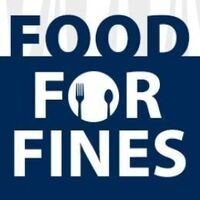 ALL FINES ARE ELIGIBLE FOR THIS PROGRAM! The proceeds of this food drive will go to the Hope Center of Devils Lake. If you don't have a fine but would still like to donate, the Hope Center would greatly appreciate it!